Managing an investment portfolio takes time and energy. 2. How Can I Practice on the Stock Market? Investing in stock is a way to make money when the companies in which you own shares see their value grow. A stock portfolio is a good tool for growing wealth over the long term, such as saving for retirement. Although financial planners and stock brokers offer services to manage your stock portfolio for you, you can maintain your own stock portfolio with some basic tools and careful planning. You can only buy most stocks through a licensed broker. This makes it difficult to maintain your portfolio, because you'll always need to contact your broker to buy or sell shares, or make changes to your account. Many online broker services offer tools for placing your own sale and purchase orders, as well as tools to track your investments. Online tools and services come across a wide range of prices, and many emphasize low-cost trades. These tools include graphics for individual stocks as well as your portfolio as a whole, allowing you to see growth and measure losses over time. Maintaining your own stock portfolio takes time, as well as a good sense of timing. One benefit of hiring someone else to maintain your portfolio is that it takes up less of your time. 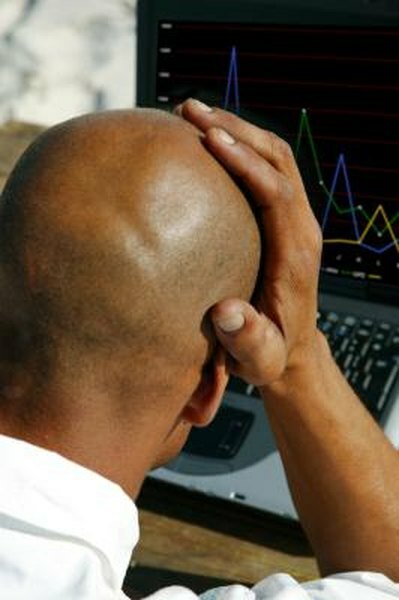 Set aside a certain number of hours each month to go over your portfolio and consider decisions to buy or sell stock. Decide what your time horizon is before you invest. This refers to how long you can wait before selling your stock to do something else with the cash, such as retiring or paying for a child's education. Knowing how long you can hold stock will affect which stocks you buy and which you avoid. Even using an online broker, you will need to keep some of your own records. Keep a hard copy of which stocks you own, especially if you want to be able to track them day-to-day without logging into your online account. Keep receipts from any money you spend maintaining your portfolio, including the cost of an online broker or investing research. All of these costs are deductible as investment expenses when you pay income tax, but only if you can accurately add them up and prove how much you spent. Managing a portfolio of stocks is a constant process of assessment and reassessment. Just because one stock is performing well today doesn't mean it will always be a good stock to own. Changes to dividends, your time horizon and within the companies in which you own stock all contribute to the need to sell some stocks and buy others. Be willing to reassess your portfolio and make changes as necessary based on the data you collect. Bankrate: Time to Rebalance Investment Portfolio? How Do I Figure Gain & Loss From a Stock Portfolio? How Many Stocks Should Be in a Portfolio?